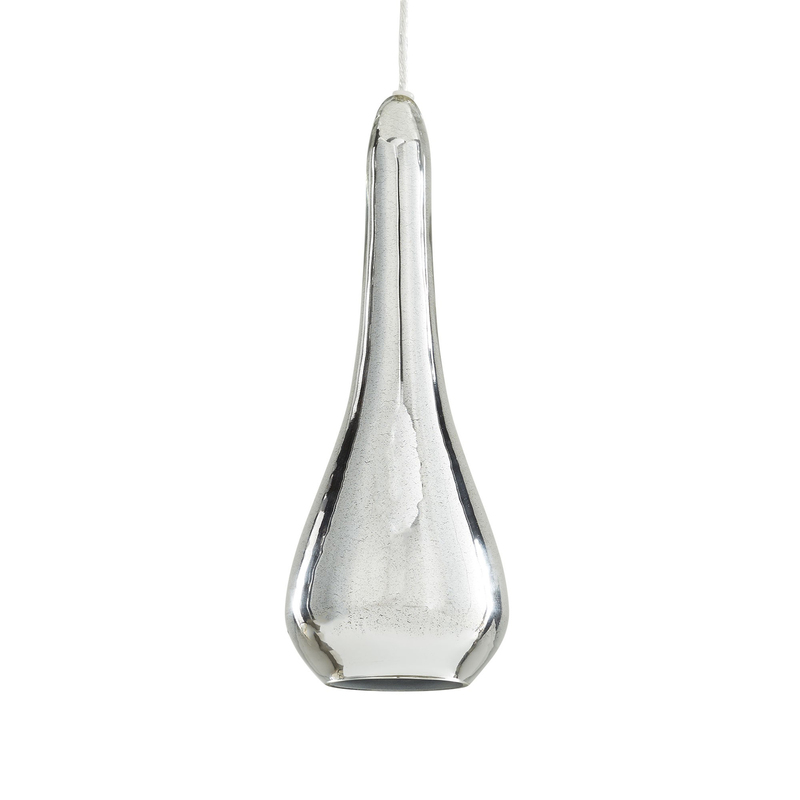 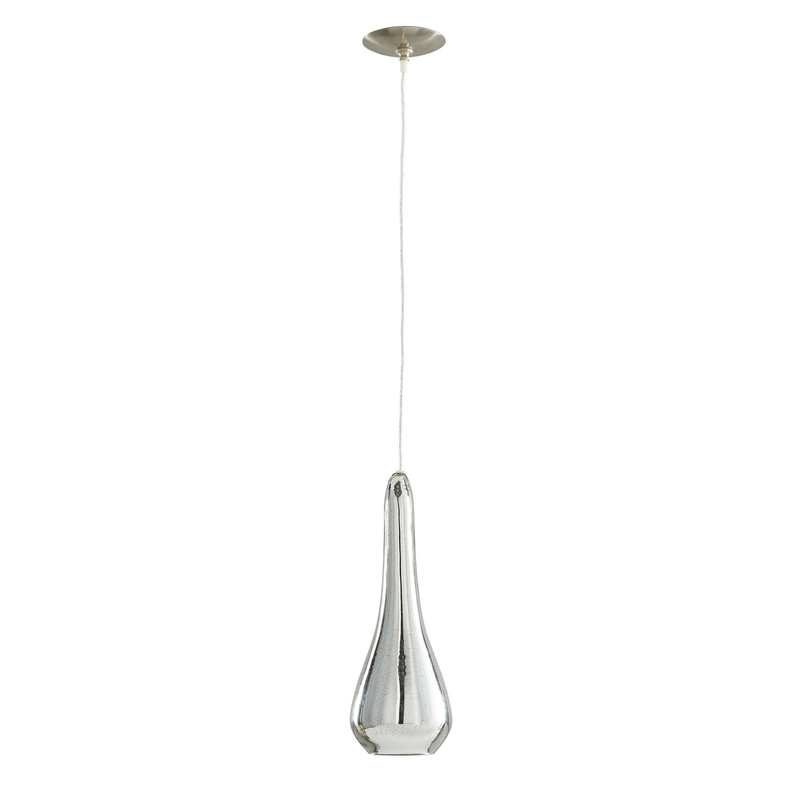 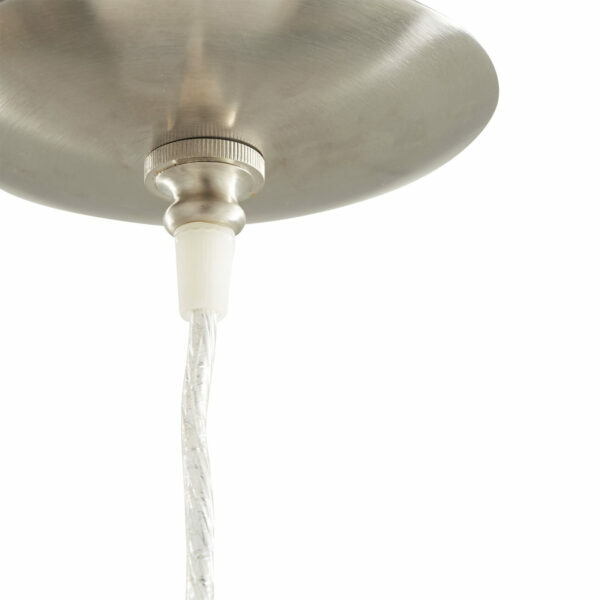 Teardrop shaped pendant of translucent antique mercury glass provides ambient light. Use as a single fixture or arrange with others in a linear arrangement or clustered together at varying heights. Finish and size may vary. 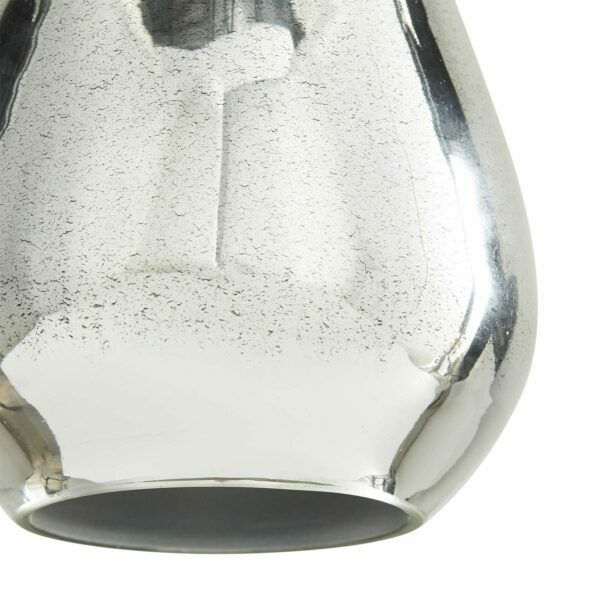 Socket length may vary.